Canadians are being left behind as manufacturing exports have declined and, even with a low dollar, potential visitors have decided they'd rather spend money elsewhere. With a new government in office, now is the time to explore ideas to bring Canada back to the forefront of worldwide tourism. A lot has changed in 15 years. In 2001, Canada was the eight most visited country on Earth. Today, Canada ranks just short of number 20. 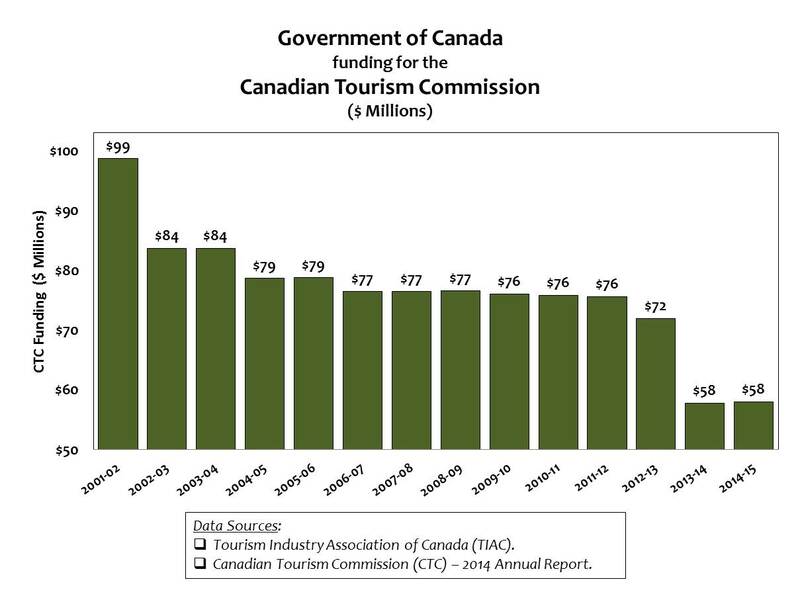 Following in the footsteps of the former Liberal government, the Federal Conservatives slashed the Canadian Tourism Commission's (now Destination Canada) budget as the economy began to dive downward during the American bank collapse last decade. By 2015 the budget had gone from $99M per year to just above $50M. Unfortunately, the stark reality is that Canadians are being left behind as manufacturing exports have declined and, even with a low dollar, potential visitors have decided they'd rather spend money elsewhere. With a new government in office, now is the time to explore ideas to bring Canada back to the forefront of worldwide tourism. 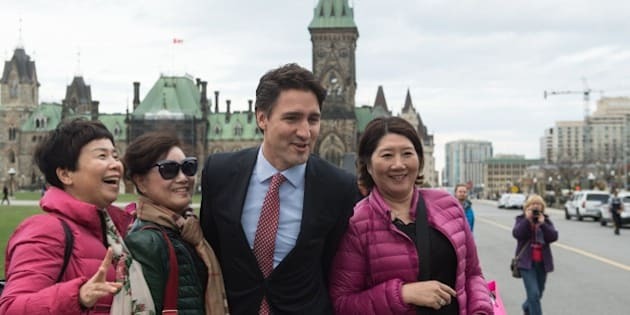 The following three low-cost ideas propose methods that would be easy for the current government to implement and begin the process of increasing tourism to Canada. Since the later years of the Chretien government, funding started sliding downward from $99 million per year to $58 million for 2014-2015. Over 15 years Destination Canada (formerly Canadian Tourism Commission) has lost almost half its budget while Canada's largest competitor for visitors, America, continues an upward trend in tourism spending and tourist arrivals. Destination Canada reflects Canada's tourism industry at the highest level and these constant budget cuts have left a huge gap in their effectiveness and reach. While provincial and local tourism organizations have tried to make up this gap, their message only goes so far without federal level support. In a recent, 2015 pre-election appearance on John Oliver's Last Week Tonight episode, Mike Myers trotted out wearing a Mountie uniform, talking up all the decades old Canadian tropes to a bleating audience. While these may have been tourism drivers in Pierre Trudeau's time, the federal government needs to ensure that isn't still the same message sent in 2015 by Trudeau the younger. Canada's taste for exceptional food, our vibrant eastern provinces and active northern territories are becoming well-known in travel blogger circles and funding to amplify this message would ensure the average traveler knows it too. The new Federal government has a chance to restore this funding and help re-shape Canada's international image without borrowing from 70s cliché. While Toronto, Halifax and many other Canadian destinations have won international acclaim recently as cities to visit, Federal coordination would help boost the message that Canada is a modern and fascinating place to visit with intriguing regional differences. Connecting America is a federal level marketing program targeted directly at American travelers back to Canada. Working with Convention and Visitor Bureaus like Tourism Toronto, this program will work on a 1:1 investment basis with these organizations to increase advertising spending and attract visitors from four key U.S. regions. Since 2001 the number of tourists visiting Canada has dropped by millions with particular emphasis on the United States. Additional security checks and passport requirements made it more difficult for US citizens to visit but with Americans acquiring passports at a greater rate than ever this can change and quickly. Over the past decade Canada's international arrivals have dropped by nearly two per cent -- far below the global average growth rate of four per cent but with the rise of the internet, local attractions and other businesses have a much larger voice than ever -- it's time to start helping them amplify it even more. Small businesses comprise over 95 per cent of Canada's tourism industry but funding for advertising campaigns and employee acquisition is severely limited. By offering a 1:1 advertising program similar to Connecting America, the government could assist small businesses in amplifying their message and allow them to use their capital resources for hiring and expansion. Tourism related businesses tend to hire younger employees, allowing these small businesses to allocate their resources into hiring additional employees could also help relieve the high 13.5 per cent youth unemployment rate. Canadian airports have some of the highest landing fees in the world which is part of the reason domestic travel is so costly but also part of the reason that many flights into and out of Canada are more costly than leaving from cross-border airports like Detroit and Buffalo. By reducing taxes levied directly on air travelers, the government can keep Canadians from taking advantage of these lower fares across the border and make it more attractive for visitors to fly in and out of Canadian airports. The American and Canadian federal governments recently signed an agreement to pre-screen visitors but the Canadian government must consider greater action in reducing travel taxes. The Ogdensburg Airport an hour from Ottawa recently received $7.5 million from the American federal government to increase their runway size and bring in larger commercial and passenger aircraft in an attempt to woo residents of the capital region to use lower-cost American airlines. Offering relief to airline related industries could encourage airport growth, greater competition and lower airfare rates as Porter Airlines running out of Toronto's Billy Bishop airport has shown possible. While initially targeting business travelers, Porter has begun to attract a much wider variety of clientele and increased their cross-border destination offerings substantially in the last three years. Making Canadian destinations more cost-effective for Americans and the rest of the world would ensure more dollars spent across more businesses at the destination instead of with the airline. While these three ideas can help contribute to an increase in tourism traffic, there is still need for a comprehensive Federal tourism initiative. Canada has been pottering along without one for far too long and now is the time to change that. The new Trudeau government has the opportunity to bring provincial, municipal and attraction council stakeholders to the table and develop a lasting plan that will create jobs while returning Canada to its deserved slot in the top 10 most visited countries on Earth.